At ages 6, 10, 13, and 15, my kids would have sooner volunteered to go without food, water, or shelter than lose their technology. But my husband and I took a stand; remember, you’re the grownup! You can set the rules! Specific blackout hours will help prevent ambiguity and repeated requests around technology. We still haven't nailed down the perfect schedule, but what we try to do is a blackout period from 3-7pm on weekdays unless needed for homework (you may need to monitor to help them stay on task! ), tech-free meals, and specific blackout hours on Saturday and Sunday afternoons. Plain and simple, you can’t set blackout rules for the family and not follow them. Lead by example! There really and truly is plenty else to do at home instead of going face down in technology. Read, play board games, have craft time, build forts, do yoga, cook together…find a fun thing to work on together and go! Instead of web surfing, shopping online, playing games, or writing emails, make plans to visit with friends and family. Getting away from your everyday routine and being with people in real life will help break you of reaching for technology as a crutch. Staying on your computer or phone right up until bedtime interrupts your sleep. The light emitted from your screens actually trick your brain into thinking it needs to stay awake and alert, reducing your ability to fall asleep and stay asleep. Set a stop time well before bedtime or try unplugging for a whole day and treat your brain to a little less mindless distraction. Your sleep will be peaceful, and you’ll awake refreshed and ready for another day. One of the classic tech pitfalls is becoming a prisoner to the e-mails, calls, and text messages that pile up during the day. But really, for the most part, the world will not end if you unplug for a while. Remember, you can always respond tomorrow. Do you always exercise with your iPod? Keep the TV on in the background even when no one’s watching? Try experimenting with quiet. Clutter can extend to the auditory realm too. I’ve found that it’s incredible how many creative thoughts I can have or how much quicker challenging tasks can be taken care of by me or my family when there’s no electronic distraction. 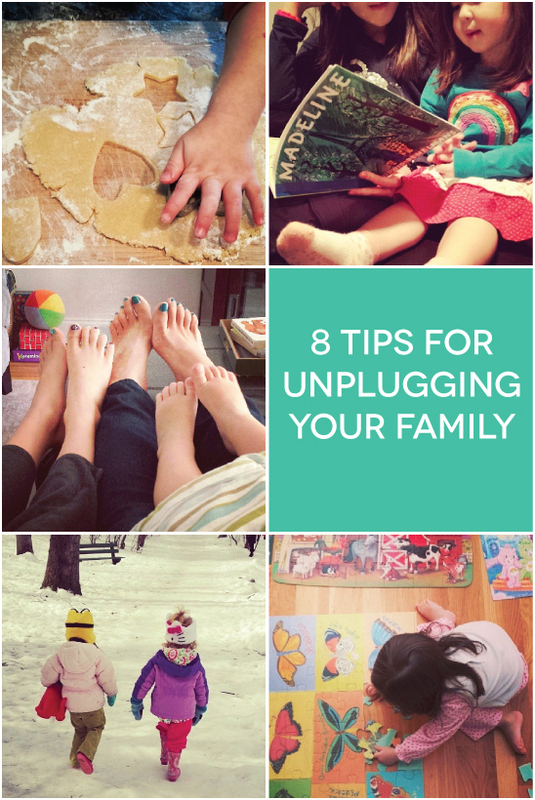 Have you tried unplugging? What’s worked best for you? We’d love to hear your ideas in the comments below!